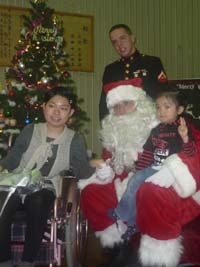 More than 13,000 toys were collected during the Christmas Season Toys for Tots Campaign on Okinawa, and that, says the Marine Corps Reserve, made the annual drive a total success. The Toys for Tots staff drew upon selfless sacrifice from more than 181 volunteers, community organizations and Marines in uniform to man the collection sites at bases across Okinawa, collecting enough donated toys to make Christmas brighter for more than 11,000 youngsters in Okinawa and the Pacific region. More than 11,000 kids received toys distributed by social welfare organizations to mental health care facilities, schools and to handicapped children. Of the 13,000+ toys collected, Marines say over 70% were distributed to Okinawan children, with the remainder going to III Marine Expeditionary Force community relations programs throughout the Pacific. 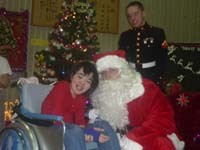 The Toys for Tots campaign will begin again in November, continuing through December. The Marine Corps Reserve is looking for more organizations and volunteers to get involved in promoting this year’s Toys for Tots campaign, so even more children can be helped.